The washed cotton trim is in 100% washed cotton 32x30 (50/55). Its tight weaving (62 threads / cm²) and its washing give it an incredible smoothness and finesse and make ironing superfluous. This range exists in different trend colors: white, chalk, gray, quartz and taupe. 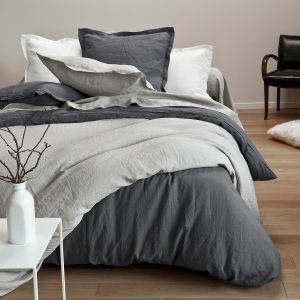 The duvet cover exists for single or double bed in many sizes. The flat sheet exists for single or double bed with a simple bumblebee finish. The square pillowcase (65x65 cm) has a quilted steering wheel and a simple drone finish. The rectangular pillowcase (50x75 cm) has a flat piqué ruffle with a simple drone finish. The bolster case measures 86x185 cm. The flat sheet exists in 240x300 cm only. 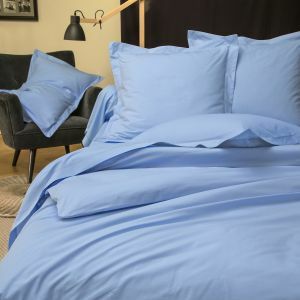 Tradition des Vosges has created and crafted for you with know-how this range of bed linen washed, to accompany you for the sweetest nights possible. 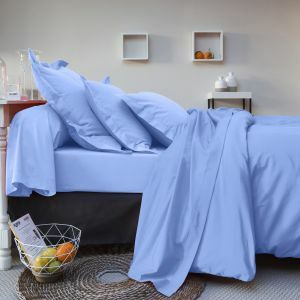 Washed cotton bed linen in 100% washed cotton 32x30 (50/55).